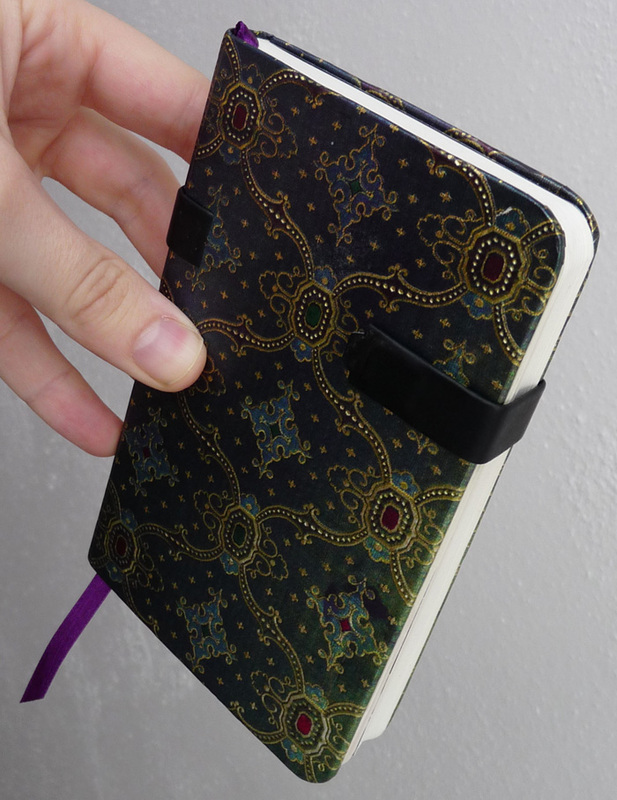 I’ve spent years trying to work out different ways to motivate myself to do the things I want to achieve in my spare time – draw comics, back up my data, or write things such as this blog post – instead of just reading stuff on the internet, or gaming. As it turns out, stickers are a good solution. Back in 2006 when I was still playing Puzzle Pirates – an MMOArrPG – an update to the game introduced ‘trophies‘: virtual icons viewable on your public profile page that were awarded if you achieved certain things within the game. 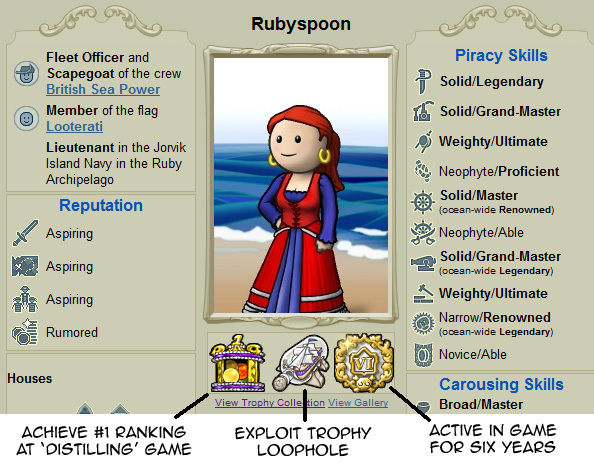 The trophies highlighted on my Puzzle Pirates profile page illustrate the, er, three different award mechanisms: Demonstrating skill, triggering a trophy award in a way not originally intended, and time-based. As an open-ended game that supports a wide range of playing styles, players had always needed to set their own goals. These trophies recognised the kind of things people were doing, while also providing a lasting record of achievements, so they were highly motivating. 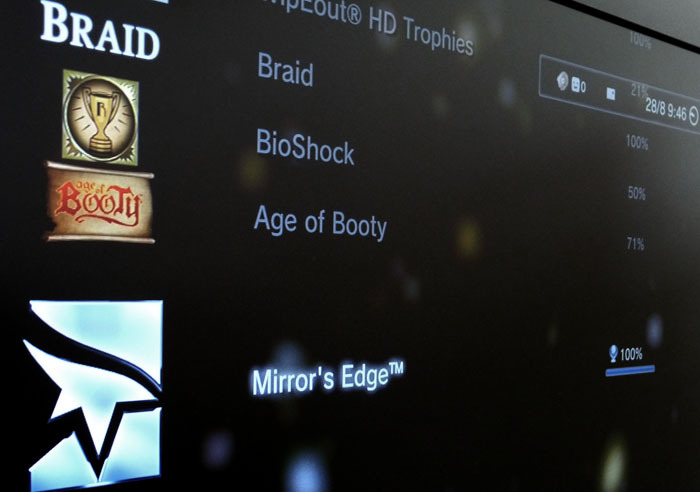 Years later I got a Playstation 3, which also has a trophy system (after the XBox’s “Achievements”). Once again I was amazed at the way these influenced behaviour – for each game you play, a percentage of the trophies unlocked is listed, making 100% a particularly compelling goal. Each game has a number of tophies worth different points, and on this overview screen you see what percentage of possible points you have achieved. If not for that, there's no way I would have played - or enjoyed - Mirror's Edge as much. Finished stickers: printed, cut out and finally inked. 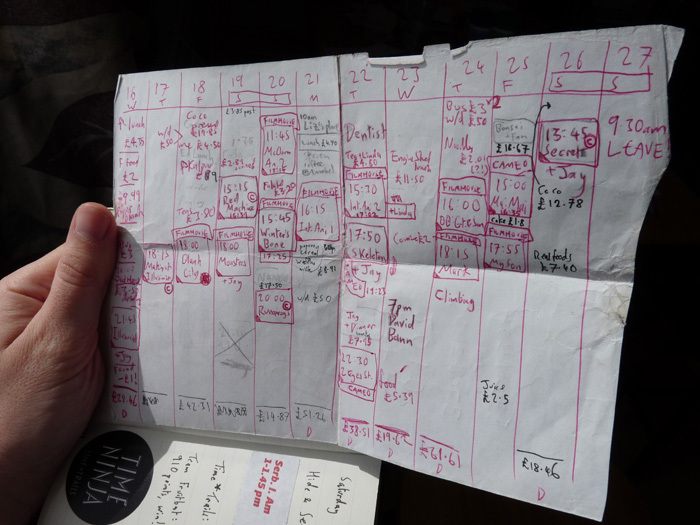 Although there was a rather nifty Edinburgh International Film Festival iPhone app, there was ultimately no replacement for having everything on one piece of paper. 'Gala' screenings included an audience vote card with four tear-off corners for four possible star ratings. To prevent ballot stuffing, you would remove the corner representing your vote and hand in the remaining card. This conveniently left us with the corner representing our own votes. The 'Red Machine' people had all kinds of paraphernalia at the festival, like these raffle tickets and 'collectable' cards. I liked the film 'Monsters' more though. First thing on Wednesday: Arthur's Seat, which we almost certainly wouldn't have done if this tiny sticker didn't exist. As noted in the caption for the picture above, there was an undeniable compulsion to make time for activities we had thought of at the start of the holiday, simply because the sticker existed. Climbing Arthur’s Seat is a rewarding activity (enabling you to get photos like the one topping this blog), but the initial climb is enough to put one off making the effort. This sticker made it happen. 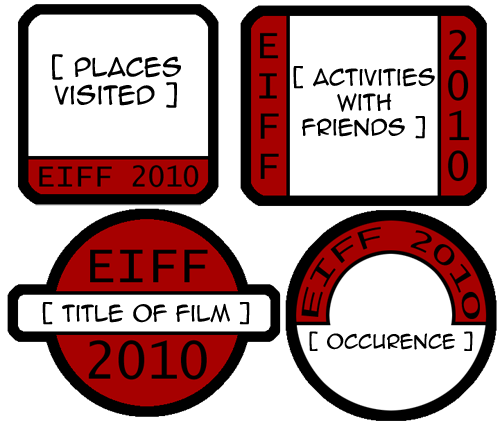 On other occasions we would have some time between movies, and look to the collection of unused stickers for ideas of what to do. Simply having the options available presented in this way made our ad hoc planning more efficient. We also had a set of stickers for recording things out of our direct control that occurred while watching the films: a baby crying, someone heckling the action, a film passing the Bechdel/Wallace test, or a film that made us laugh, to name a few. 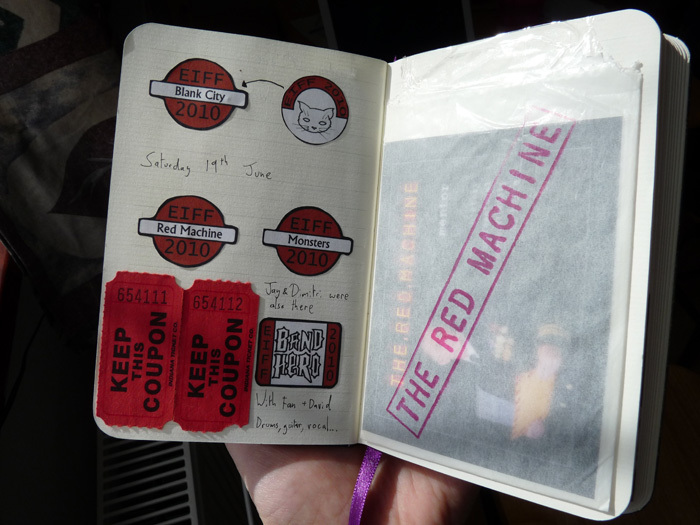 This had one particularly fascinating effect: when a mobile phone went off during one film, I actually experienced a feeling of elation, since it meant I got to put the corresponding sticker in the book. Finally, as you can see from the above, it means that after the holiday is over you are left with a really nice memento of all the things that happened. 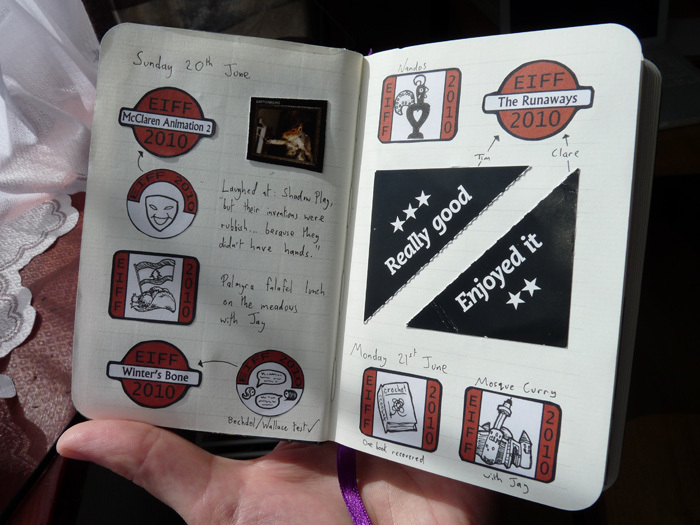 Now I’m excited about going on more holidays, and eventually filling the book. In summary, this simple mechanism made everything about these activities – planning them, taking part in them, and looking back on them afterwards – more fun and rewarding. Stickers make a huge difference. Stickers make me have more fun. This entry was posted in Motivation and tagged drawing, film, motivation, planning. Bookmark the permalink. Pingback: Nothing About Potatoes | Things I found on the internet. Cannot guarantee 100% potato-free. Completely understand the feeling you are getting from using these stickers. They are an extrinsic goal, and this is why they are used in primary schools still, in order to give a reward for hard work, which then remind the students of when they did well. 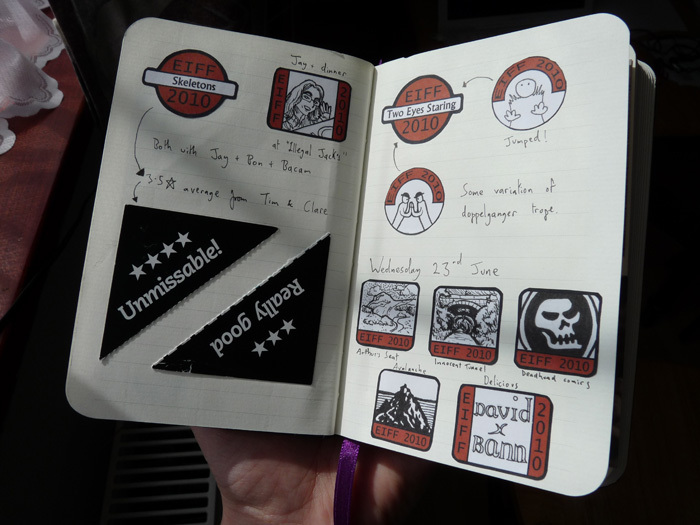 I love the idea of you almost designing your own stickers by drawing on them, great idea!